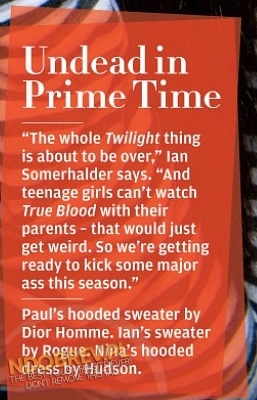 TVD in Rolling Stone,2011 Scans. . Wallpaper and background images in the द वैंपायर डायरीज टीवी शो club tagged: the vampire diaries ian somerhalder nina dobrev paul wesley rolling stone scans interview 2011. This द वैंपायर डायरीज टीवी शो photo might contain हस्ताक्षर, पोस्टर, पाठ, चॉकबोर्ड, साइन, and साइन इन करें.